The President acts as spokesperson for the School of Communication Sciences and Disorders Graduate Student Society, the student government organization for graduate students in the SCSD in the Faculty of Medicine. They are a liaison between faculty, students, and the GSS; recruit students to organize events and activities; liaise with other departmental societies; maintain the GSS constitution and other official records; conduct council meetings and elections; assist the Treasurer in maintaining the budget; and communicate with the Post-Graduate Students' Society about social events and finances. Additionally, they serve as the representative for the 2nd-year class. The President gains skills in leadership, advocacy, teamwork, and public speaking while learning about university affairs and organizational governance. The Vice-President of the School of Communication Sciences and Disorders Graduate Student Society, the student government organization for graduate students in the SCSD in the Faculty of Medicine, supports the President in running council meetings, maintaining records, and acting as a liaison between students, staff, and other departments. The Vice President gains skills in leadership, teamwork, advocacy, and public speaking while learning about university affairs and organizational governance. The Treasurer keeps track of both internal and external fund for the School of Communication Sciences and Disorders Graduate Student Society, the student government organization for graduate students in the SCSD in the Faculty of Medicine. They ensure that funds allocated according to the society's policies, communicate with the Post-Graduate Students' Society Student Life Coordinator and supplying the Coordinator with the necessary documentation. The Treasurer plays a key role in maintaining and running the budget of the council and gains skills in financial accounting and accountability. The Secretary is the record keeper for the School of Communication Sciences and Disorders Graduate Student Society, the student government organization for graduate students in the SCSD in the Faculty of Medicine. They take notes at all meetings, which they distribute and archive, and maintain electronic copies of all GSS documents. The secretary plays a key role in book keeping and organizing the meetings and the student council records. They gain written communication and time management skills. The Research Representative is the designated correspondent between the School of Communication Sciences and Disorders Graduate Student Society, the student government organization for graduate students in the SCSD in the Faculty of Medicine. They are also responsible for the allocation of the research-specific funds provided by the Post-Graduate Students' Society, which they do in consultation with members of the research body. The Research Rep play a key role in relaying relevant information between the GSS executive and the researchers, and thus develops written and oral communication skills. The 1st Year Representative is the designated correspondent between the M.Sc.A 1 class and the School of Communication Sciences and Disorders Graduate Student Society, the student government organization for graduate students in the SCSD in the Faculty of Medicine. They develop oral communication skills and gain experience in civic engagement. The PGSS Representative attends monthly meetings of the Post-Graduate Students' Society council meetings on behalf of the SCSD Student Council, the student government organization for graduate students in the School of Communication Sciences and Disorders in the Faculty of Medicine. They provide updates on PGSS's activities to the department and discuss important issues with the SCSD Council and student body prior to voting on their behalf. They develop oral communication skills and gain experience in civic engagement and democratic institutions. The Social Committee Chairs plan and execute social events for the School of Communication Sciences and Disorders Graduate Student Society, the student government organization for graduate students in the SCSD in the Faculty of Medicine. They coordinate use of funds with the Treasurer, complete the required paperwork with the Post-Graduate Students' Society, and promote events to the SCSD student body. Through their work, they help to foster a greater sense of community amongst the students and gain event planning, communication, teamwork, and time management skills. The Interdisciplinary Committee for the School of Communication Sciences and Disorders Graduate Student Society, the student government organization for graduate students in the SCSD in the Faculty of Medicine, fosters interdisciplinary collaboration between the Speech-Language Pathology program and other student groups in healthcare disciplines and related fields. The Committee Chair serves as the primary contact person for the Committee and helps to facilitate collaboration with groups like FRESQue and msHPA. They gain communication and teamwork skills. The Conference and Workshop Coordinator organizes out-of-classroom learning opportunities sponsored by the School of Communication Sciences and Disorders Graduate Student Society, the student government organization for graduate students in the SCSD in the Faculty of Medicine. Based on student interests, they collaborate with other departments, universities, and organizations to coordinate conference or workshops around applicable topics. They work with the Treasurer and Speech-Language & Audiology Canada (SAC) Representative to secure and manage event funds. The workshop coordinator plays a key role to create educational events for the student body and gains event planning, communication, teamwork, and time management skills. The Faculty Representative represents students in the SCSD at faculty meetings, expressing their views and providing input and a student perspective. In so doing, they gain leadership, advocacy, and public speaking skills while learning about university affairs. The Representatives attends meetings of the National Student Speech-language and Hearing Association, the student version of the American Speech-Language Hearing Association, on behalf of serves as the liaison between the School of Communication Sciences and Disorders Graduate Student Society, the student government organization for graduate students in the SCSD in the Faculty of Medicine. They gain skills in leadership and advocacy while learning about the governance of professional societies in their field. The Representative is the liaison between the School of Communication Sciences and Disorders Graduate Student Society, the student government organization for graduate students in the SCSD in the Faculty of Medicine, and the Speech-Language & Audiology Canada (SAC). They attend SAC teleconferences, communicate opportunities and deadlines to their classmates, organize presentations, and write articles for Student Speak. SAC Representative gains leadership, advocacy, and public speaking skills while gaining experience writing journal articles and learning about the governance of professional societies in their field. The Representative is the liaison between the School of Communication Sciences and Disorders Graduate Student Society, the student government organization for graduate students in the SCSD in the Faculty of Medicine, and the Ordre des orthophonistes et audiologistes du Québec, the provincial regulatory and licensing body. They gain skills in leadership, advocacy, and public speaking while learning about the governance of a professional order. The Representative is the liaison between the School of Communication Sciences and Disorders Graduate Student Society, the student government organization for graduate students in the SCSD in the Faculty of Medicine, and the Association québécoise des orthophonistes et des audiologistes. They gain skills in leadership and advocacy while learning about professional associations in their field. Buddies are second year graduate students in the School of Communication Sciences and Disorders who are matched with incoming students to serve as mentors and provide information and guidance about the program and the University. In addition to contacting and meeting with students, they help to organize social events. They gain experience with event planning and interpersonal and intercultural skills. The program evaluation coordinator will coordinate annual meetings with the class and the Director of School of Communication Sciences and Disorders to receive feedback on students' experience in their clinical programs in the School. The fundraising coordinator organizes and executes fundraisers for the Master of Science (Applied) (M.Sc.A.) program to use for orientation and graduation activities. They gain event planning, time management, and budgeting skills. The Community Service Coordinator oversees volunteer and philanthropic activities on behalf of the School of Communication Sciences and Disorders Graduate Student Society, the student government organization for graduate students in the SCSD in the Faculty of Medicine. They organize community service activities and select an organization to support financially through fundraising. They gain event planning skills while learning about community engagement and citizenship. The Clothing Sale Coordinator organizes the sale and distribution of department merchandise on behalf of the School of Communication Sciences and Disorders Graduate Student Society, the student government organization for graduate students in the SCSD in the Faculty of Medicine. The coordinator gain promotion and budgeting skills. Members of the Graduation Committee plan and coordinate various activities at the end of the academic year on behalf of the School of Communication Sciences and Disorders Graduate Student Society, the student government organization for graduate students in the SCSD in the Faculty of Medicine. They hire a photographer and organize the annual class photograph, plan a graduation trip and party, and coordinate the purchasing of gifts from the graduation class to professors. Committee Members gain experience working in a team, planning events, and marketing. The Community Newsletter Correspondence oversees the publication of the Community Newsletter for the School of Communication Sciences and Disorders Graduate Student Society, the student government organization for graduate students in the SCSD in the Faculty of Medicine. They choose topics that promote clinical programs and work independently to gather information and distribute newsletters three times per year. They gain professional writing, editing, and layout skills. The Faculty Council provides a collegial setting for discussion of the governance, strategic direction and general management of the Faculty, and advises or makes decisions, where required, on matters tending to enhance the academic work of the Faculty in teaching, research, and service. It considers and reports on matters within the Council’s mandate and function, provides advice and makes recommendations, as appropriate, to the Dean, Provost, Principal, and Senate. 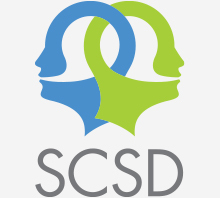 The Representative attends Council meetings on behalf of the School of Communication Sciences and Disorders Graduate Student Society, the student government organization for graduate students in the SCSD in the Faculty of Medicine, helping to facilitate communication and consultation between the student body, the Faculty of Medicine, and the broader University community, including affiliated hospitals, training sights, and research institutes. they gain leadership, advocacy, and public speaking skills while learning about university affairs. Members of the Diversity and Equity Student Council prepare and participate in events, high school visits, and campaigns to promote different health professions to prospective students belonging to underrepresented groups and find ways to attract them to study at McGill. They gain exposure to multi-cultural issues and gain intercultural communication and event planning skills. The WELL office representatives act as a liaison between students and the WELL office to communicate the wellness needs of SCSD students and as well as ways that the WELL office can serve SCSD students. They also inform SCSD students of programming and upcoming events offered at the WELL office. The Sustainability Officer monitors the environmental impact of the SCSD, implements and manages projects to reduce the environmental impact of the SCSD, and shares information about sustainability and sustainable practices with students, faculty, and staff.